Lightning doesn’t strike twice, as proven by director Pierre Morel’s recent output. Since his 2008 smash hit, “Taken,” Morel has been unsuccessful in trying to recapture the magic of his wildly popular B-movie. Though the French filmmaker helped turn Liam Neeson into an action star, he’s failed to do the same for John Travolta and Sean Penn. The latter stars in the director’s newest picture, “The Gunman,” an incredibly middle-of-the-road thriller that’s so light on action that the first 45 minutes doesn’t contain a single set piece. 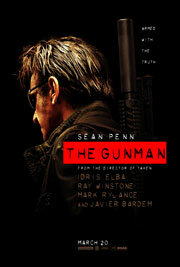 “The Gunman” is a surprisingly small-scale movie, where most of the action takes place in contained locations. This kind of less-is-more approach is always welcomed, but it doesn’t work in the film’s favor, since none of the characters can hold your attention. This self-serious thriller tries to be more than what it really is. In the vein of “Taken,” the drama is redundant, thin and clunky, but unlike that movie, the emotional conflict doesn’t play second fiddle to the action. This a character-driven film, taking way too much time to tell an all-too-familiar story. Jim Terrier (Penn) is a mercenary with a dark past, but he’s finally found happiness in the Congo. When we meet the sniper, he’s in a loving relationship with Annie (Jasmine Trinca), but that all ends when Terrier and his team kill the country’s minister of mining. Terrier, without telling Annie, has to go on the run. Years later, he returns to the Congo to do some good working for the NGO, but of course, he’s pulled back into the game after some men try to kill him. 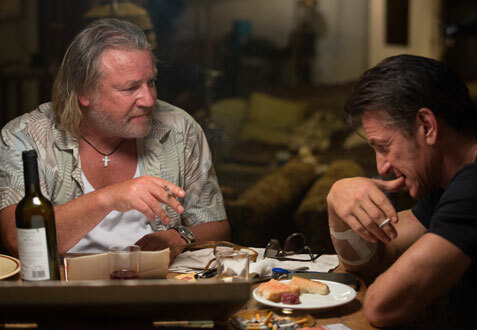 It’s the supporting actors that help bring some flickers of life to “The Gunman.” At one point, Idris Elba shows up in a glorified cameo playing a character named Jackie Barnes. Who wouldn’t want to see a franchise starring Elba as a mysterious Interpol agent? He’s in “The Gunman” for five minutes, and he makes every second count. Elba has some fairly on-the-nose dialogue to deliver, but an actor of his caliber can make every cheesy line sizzle. Strangely, the same cannot be said for Javier Bardem, playing an old colleague of Terrier and Annie’s new husband, who’s an early candidate for a Razzie nomination. His performance goes so big that his character leaves reality far too quickly. Bardem’s scenery chewing never fits this overly dour film. If “The Gunman” was 20 minutes shorter and more action-oriented, it could have been a blast. Morel knows how to shoot action. He never shows us anything new, but the action is often impressive – quick and brutal, but never jarring. Morel knows how to put together an exciting set piece, but drama is not his forte. There’s nothing emotional about Terrier’s romance or his attempt to start over. Almost everything about “The Gunman” is by-the-numbers, which is fine, but it doesn’t even tell a familiar story particularly well.